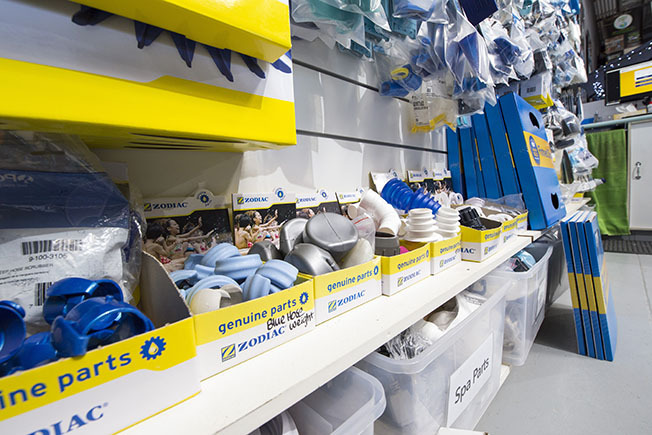 We carry a large range of spare parts for popular pumps, filters and pool cleaners along with in-house repair service where we can often get your problem fixed and back into service quickly. And if we don’t have that part you need we are able to order it and have it in store most times within a couple of working days. We carry an extensive range of replacement Darlly Filter Cartridges to suit a large range of makes and models for Pool and Spa Cartridge Filters. Just bring in your old cartridge and we can measure it up and supply you with the correct cartridge. We also carry a range of pool plumbing like PVC pressure pipe and fittings and solvents & primers that you may need for any pool or spa plumbing requirements including spa flexi hose and an extensive range of PVC- 2 & 3 way shut off valves and non-return valves.